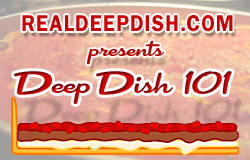 A visitor to the website asked about freezing deep dish pizza dough. I’m not a fan of freezing any kind of pizza dough, as it’s not very practical, tends to kill off some of the yeast, and modifies the texture a bit. I’d rather the dough hung out in a zip top bag in the fridge if you’re making it a day or 3 ahead of time, but freezing can be done. If you know ahead of time that you are going to freeze your dough, you can give it a better chance to recover from the freezing by slightly increasing the yeast and sugar amounts in your dough recipe. After letting your dough rise, punch it down, work it back into a ball, then coat the ball lightly in oil, seal it up in plastic wrap or a zip top bag (get as much air out as you can), then seal in aluminum foil and place in your freezer. 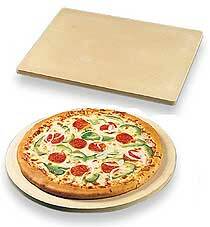 Label and date your package so you know what kind of dough it is and when you made it. Move the frozen dough TO THE REFRIGERATOR and LET IT GO at least 24 hours to thaw in the fridge before moving it to the counter to warm up. It will take about 1 to 2 hours to warm up your dough. I’ve pressed out and baked deep dish dough that had been out of the fridge for about an hour and was still a little cold, and the pizza still baked OK. While you wait for your dough to warm up, you can preheat your oven and pizza stone, and start preparing your pizza toppings so you can assemble your pizza quicker. 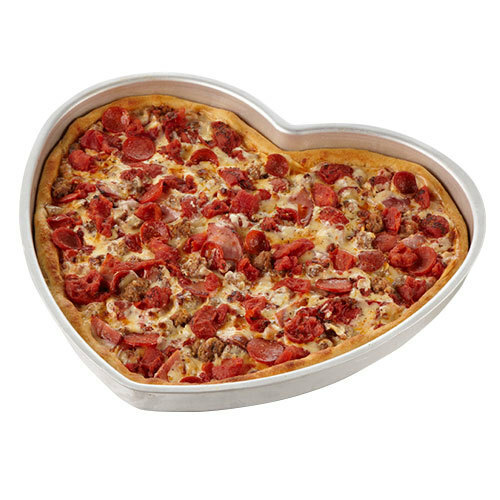 The heart shaped pizza pan from American Metalcraft- Make loveable pizzas, cakes, brownies, cookie cakes and more with this quality, commercial pie pan. 16 inches wide, 1-1/2 inches deep. Constructed of heavy duty 18 gauge aluminum. 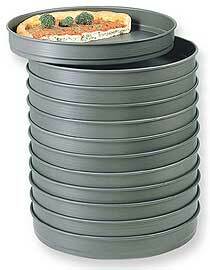 The perfect pie pan for celebrating Valentine’s Day, anniversaries, weddings, parties and more. 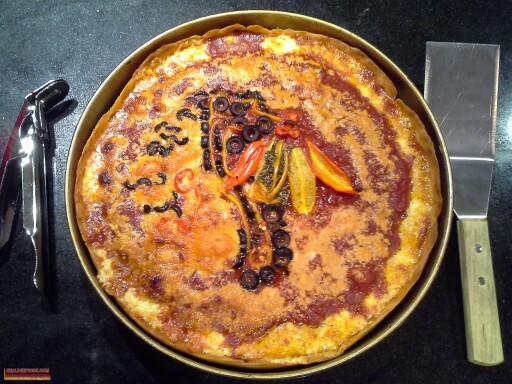 There is a style of Chicago Pan Pizza that is distinct from the Original Deep Dish that you know from places like Lou Malnati’s, Pizano’s, Louisa’s, Gino’s East, and Pizzeria Uno. The style I’m talking about is the pan pizza you find at Pequod’s in Chicago and Morton Grove, IL, and until recently*, Burt’s Place in Morton Grove. 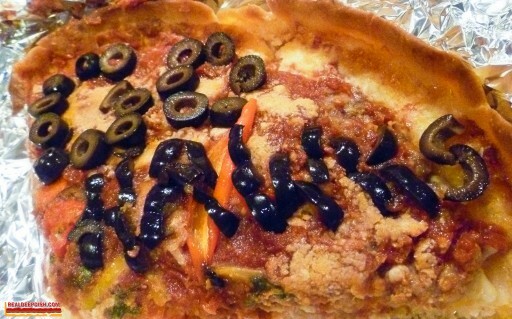 I call this style “Modern Deep Dish” to distinguish it from “Original Deep Dish”. Before you ask… Yes, a pizza style invented over 4 decades ago (1971) is considered relatively “modern” since Original Chicago Deep Dish was invented more than 70 years ago in 1943. 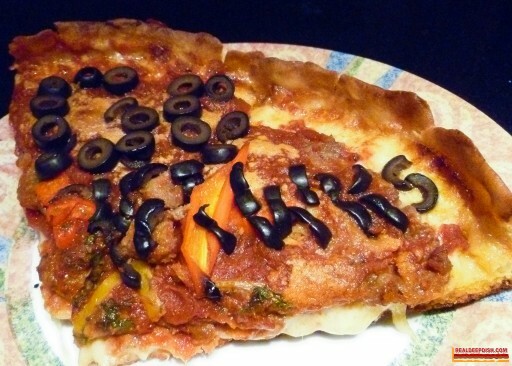 This style of pizza is like a hybrid between Chicago Deep Dish, Detroit Style & NY Sicilian pan pizzas. Like a deep dish, the pizza has cheese on the bottom, sauce on the top, and is baked in a round pan. 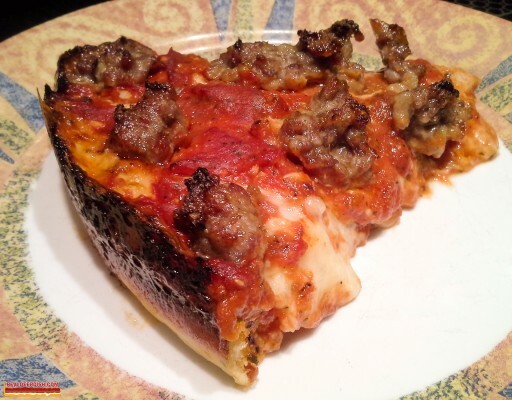 Like the Detroit style (and also Sicilian squares – like L&B Spumoni Gardens), it has a thicker, more pillowy dough, and a caramelized crust, which is created when the cheese runs down the gap between the pan and the outer edge of the pizza dough during baking. 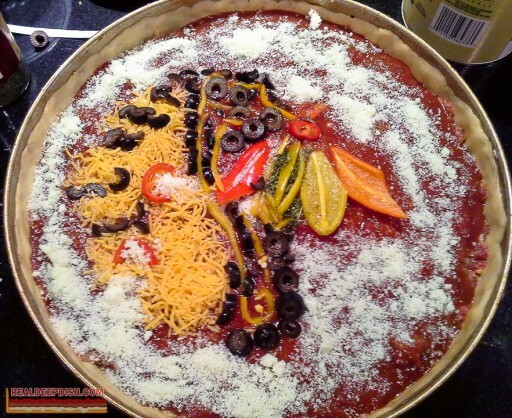 Here’s the Chicago Blackhawks Deep Dish Pizza I made just for fun! And then a few weeks later, they won the STANLEY CUP! black olives, mini sweet peppers for the feathers and lines, along with peccorino and dried parsley for the white and green, shredded sharp cheddar for the face. Under the sauce? Hot Italian Sausage and Pepperoni with Whole Milk Mozzarella. and the leftovers reheated quite nicely! 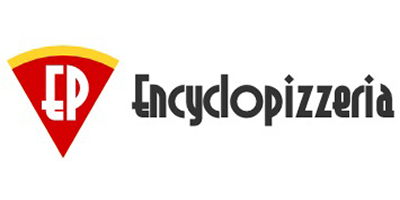 you are supporting this website.